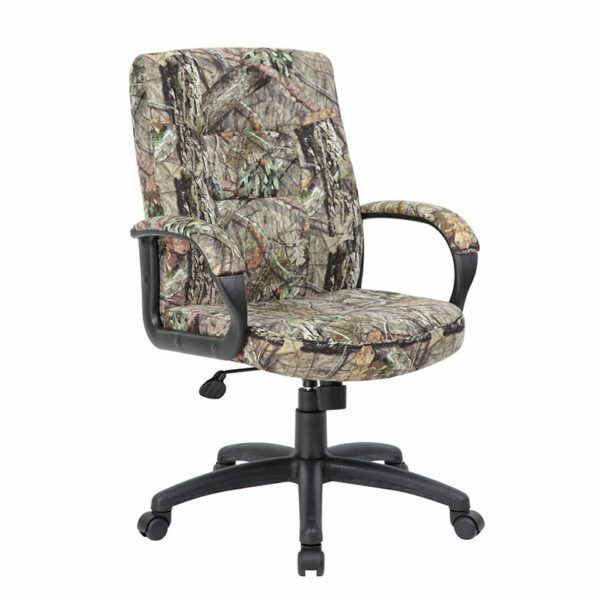 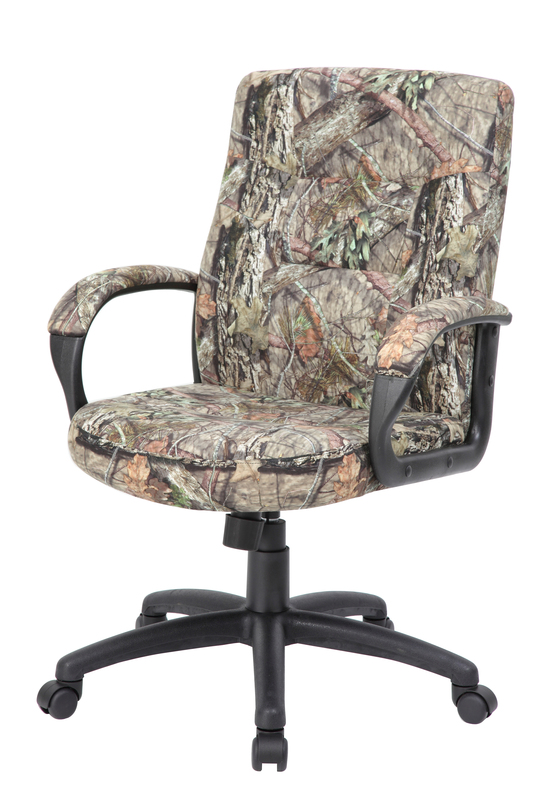 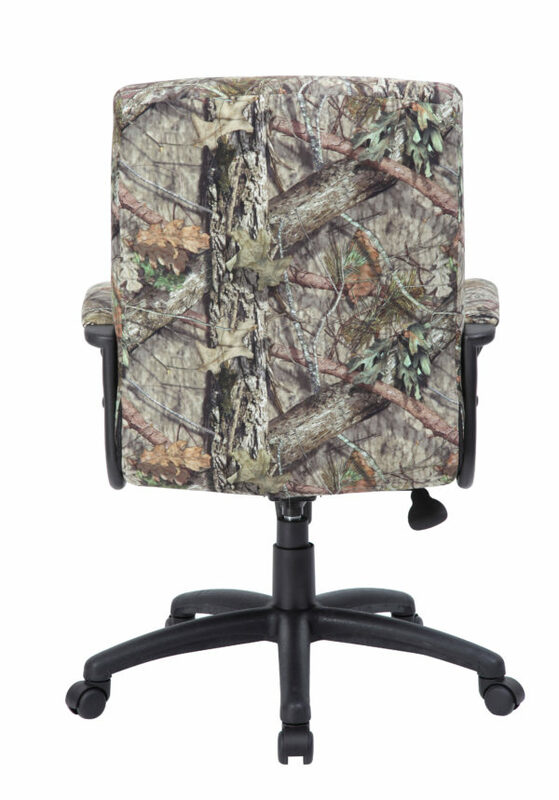 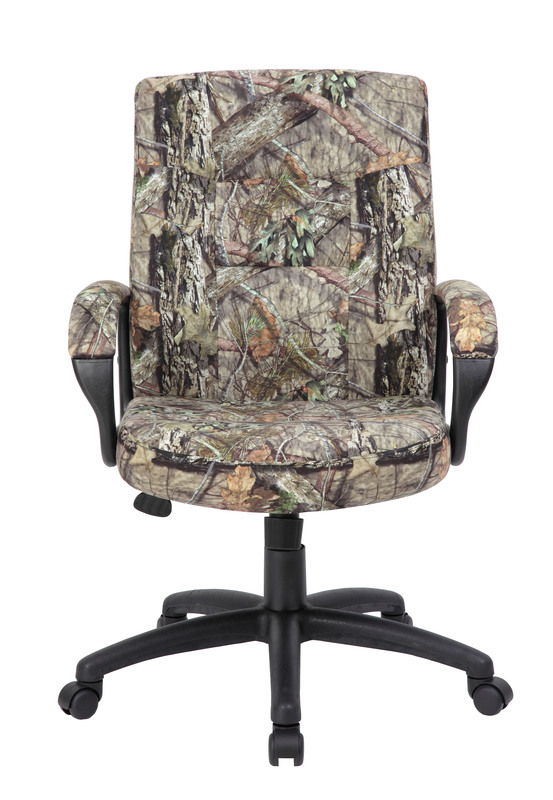 This beautiful mid-back armchair is upholstered in Mossy Oak fabric. 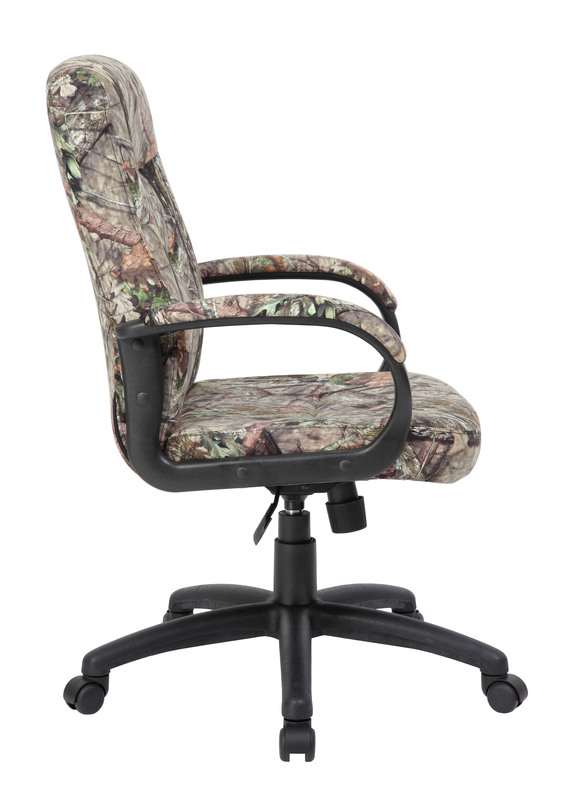 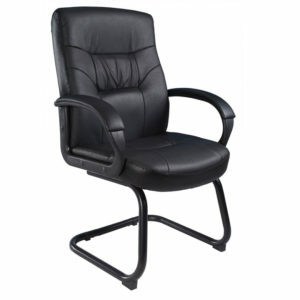 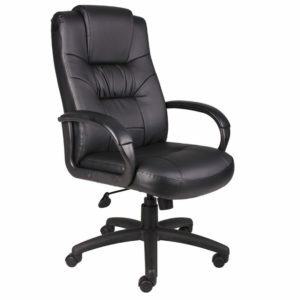 Its passive ergonomic seating boasts integrated lumbar support, while its padded armrests provide an extra layer of comfort. 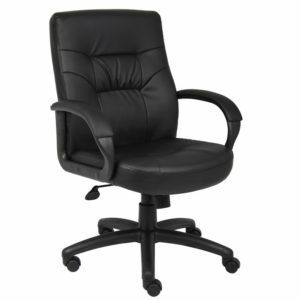 Additional features include an upright locking position, pneumatic gas lift seat height adjustment, spring-tilt mechanism, and adjustable tilt tension control. 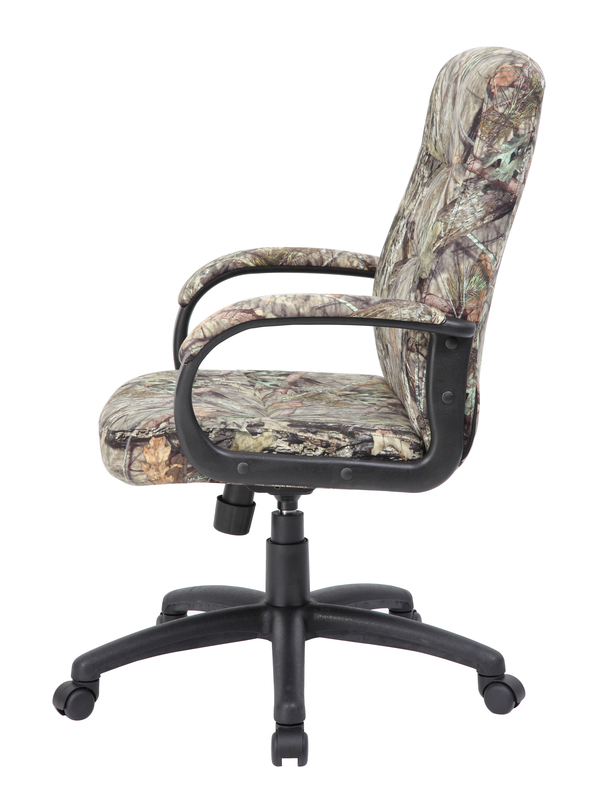 All of this sits atop a large 27” nylon base that provides exemplary stability. 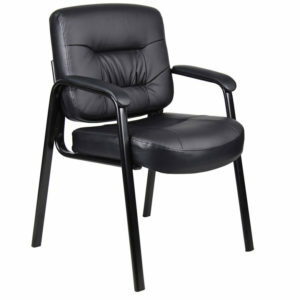 The base itself is affixed to five hooded double wheel casters.